Chris Lynch continues to amaze me with his fascinating characters and socially-significant themes. This time around, he tackles (pardon the pun) high school football concussions. Arlo and his older brother Lloyd love football and have the type of combative brotherly relationship that offers plenty of room to be both friends and enemies. Their mother, who does not support their love of the game, keeps “The File,” a comprehensive compilation of research articles on the effects of football-related concussions. 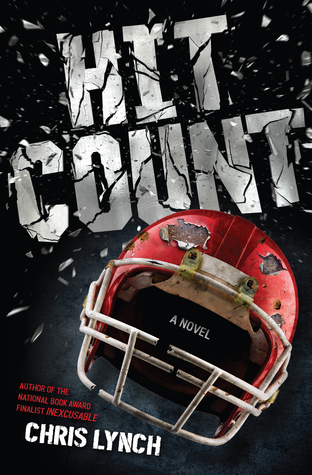 When Lloyd begins to show symptoms and his high school football career ends, Arlo seems to think lightning can’t strike twice. However, when Arlo’s girlfriend takes sides with his mother, Arlo has to choose between football and a mentally-healthy future. If you have read Pop or Second Impact, you are sure to enjoy this book.